Welcome home to 4,000 sq. ft of MODERN elegance by Lily Development, experienced Philadelphia-based developer since 1999. Amenities include an elevator to all floors, 5 outdoor spaces, smart home tech, organized closets, SECLUDED drive & garage. All within the coveted Meredith School District! Enter on the second floor which boasts a STUNNING staircase, in-home office, LUXURY kitchen, Poggenpohl cabinets and SPRAWLING quartz counters, leading to a SPACIOUS living area with tiled fireplace and over-sized terrace. The third floor includes 2 large bedrooms with EN-SUITE bathrooms and more closet space than you will need! FOURTH floor, EXTRAORDINARY master suite, luxurious bath, with an EXTRA room and South facing balcony. 360 degree views on the ROOF DECK, water & electric hookup – entertain in comfort. Lower level includes another bedroom with full bath and an entrance to the secluded drive and garage. Incredible location, situated close to shops, restaurants, cafes, parks, the market, Center City, public transportation and more. One year home warranty. 10 year tax abatement approved. 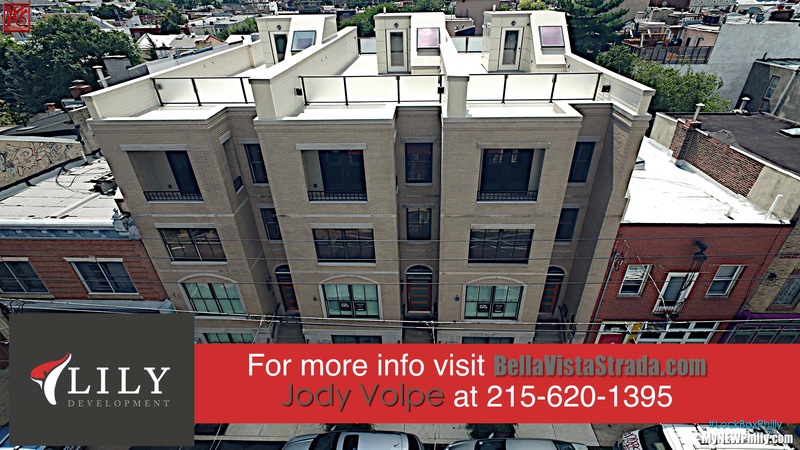 For more info visit BellaVistaStrada.com or contact Jody Volpe at 215-620-1395.